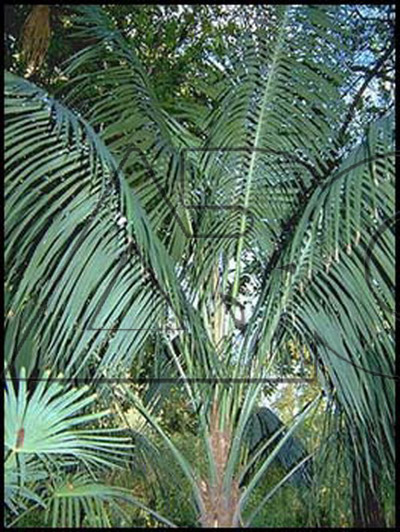 Very popular and widely cultivated, this beautiful palm is indigenous to Lord Howe Island. It has a tall, solitary trunk and a large crown of pinnate leaves with pendulous leaflets. Bears star-shaped, green female and pale brown male flowers, in erect, later pendent, axillary clusters of spikes, up to 1m long. They are followed by ellipsoid, orange red fruit, up to 2cm long but takes two years to begin ripening.